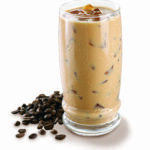 Tweak your iced coffee with this idea. 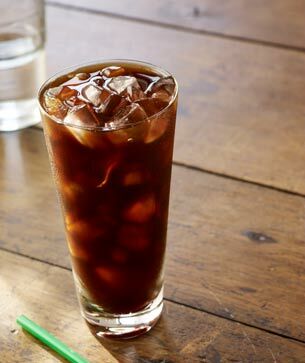 One shot of espresso or a double if its a big glass (ration 1:3). Add double the quantity of tonic water (ratio 2:3). Optionally you can add: sugar, cream and/or even a maraschino cherry garnish. 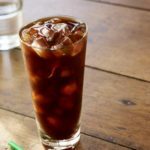 We all like our daily fix of coffee, but on a hotter day when there is no blender to make a frappe, the Iced Coffee is simple to make and very refreshing. 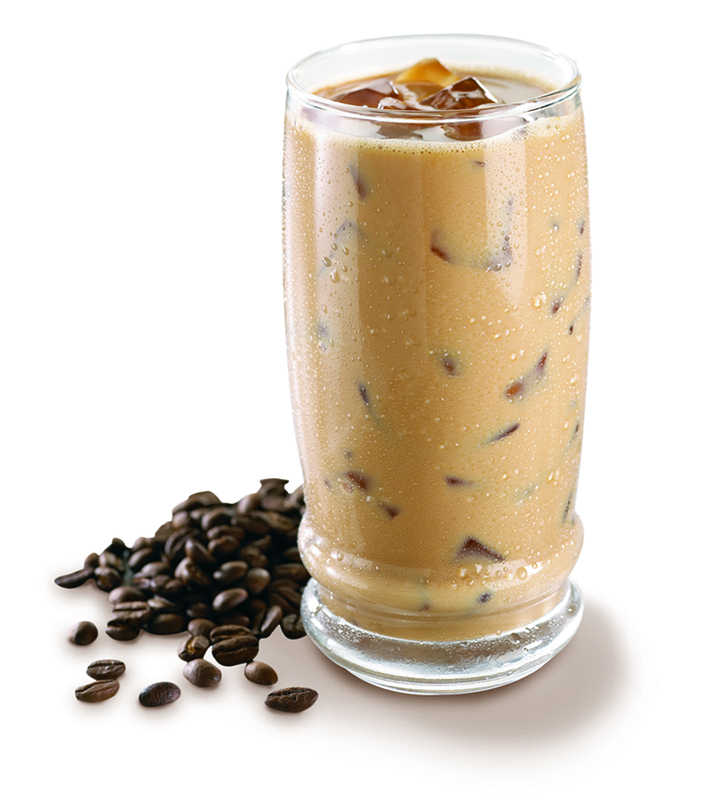 A refreshing Iced Coffee with cream.